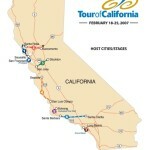 … or rather, Tour of the Bay Area, Central Coast and North of L.A. In the three editions of the ToC so far, the closest it has come to San Diego is Long Beach, basically 2 hours away. That stage was on the fairly-boring Long Beach Grand Prix course. 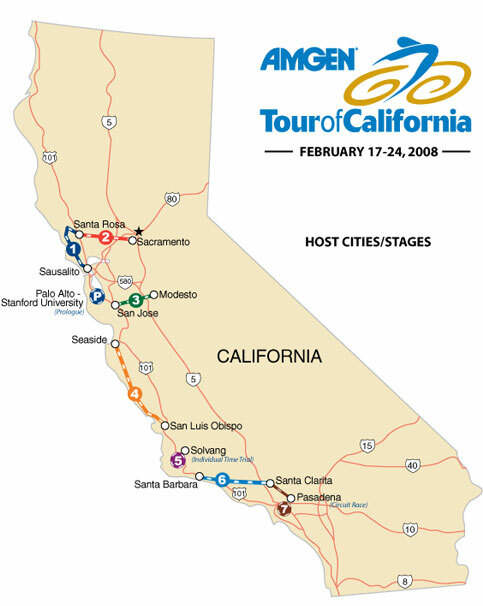 This year, the first four (of a total eight) stages are within two hours of the central Bay Area. Each are interesting. The closest stage this year to La Jolla is over two hours away, if the traffic is good in LA (ha!). I am forced to wonder if the northward-tilt of the ToC makes good business sense. 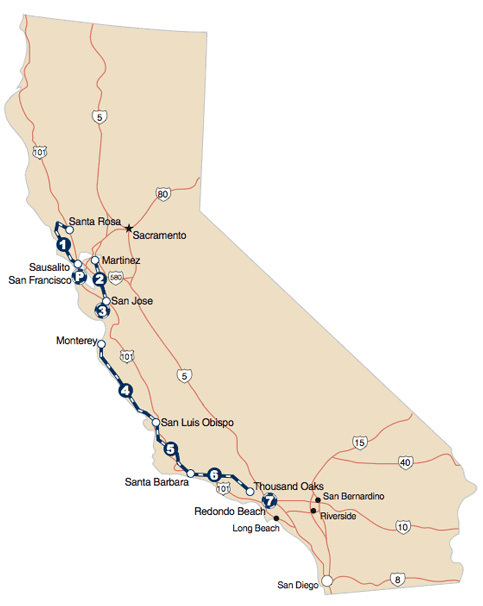 While the Bay Area is quite large at over 7 million people, the greater Los Angeles area and San Diego County together account for nearly 20 million people. Perhaps cycling is more popular in Northern California, but it would have to be three times more popular per capita to make business sense. 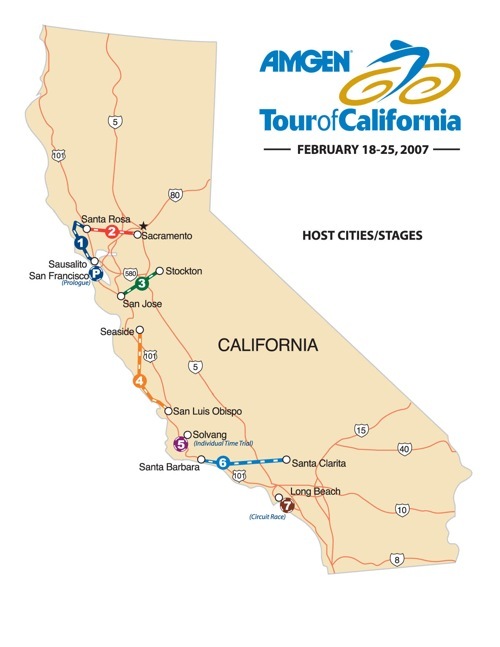 Additionally, the weather is generally better in Southern California which would make the riders happier and the spectator turnout higher. 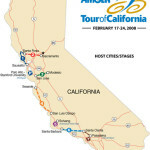 Furthermore, Amgen, the title sponsor, is headquartered in Thousand Oaks. I certainly don’t think a race through downtown LA or San Diego is practical, but there are many roads in both areas that would make an excellent part of the race. I should know, I have ridden my bike on many roads I could recommend to the race organizers. I will follow the race all the same, but I wish the organizers would bring the race near me at least one of these years (before the race evaporates, like every major American race eventually does). Taken from Baldry et. al. (2004), figure 3 (plot 7). My plot of entirely fake data that means almost nothing. — just notice that the two peaks are pretty much in the same places on both graphs, 1.5 and 2.2. The first graph shows physical data (stars) and a double-Gaussian fit (light solid line). The second graph is the result of my using Monte-Carlo fitting to make entirely fake data using the first curve. The real graph has over 10,000 items to make that smooth distribution, while with only about 100 items Monte-Carlo is already starting to look like the real thing. Of course, it will take much more items to capture the smoothness and the ‘long-tail’ on each end. I just wanted to share because the whole thing I wrote, which includes a simple function integration (for normalization), worked on my first try. I have written thrice (1, 2, 3) in the past about the new Yahoo! mail interface, the Ajaxed interface to Yahoo! mail. It is incredible how slowly they make improvements to it. It’s not like Yahoo! cares what I say, but of the points I raised over two years ago in my first post, they still haven’t all been fixed. Here each word of the replied to message gets its own line separate from the greater-than signs. I hope this is just a simple bug (I will submit a bug report about this) but this is simply ridiculous. There is nothing moving in this image – the doors are stuck half open and the elevator mis-aligned with the floor. This is why I try to use the elevators in my building at school as little as possible. People get stuck inside with regularity.